Last week, Better Call Saul showed us an earlier point in the McGill brothers’ lives when Jimmy was in jail and Chuck comes to see him, which set up a cyclical arc for Jimmy to reform himself after many questionable life decisions and then revert back to his old ways to Chuck’s disappointment. “Hero” follows through on that thread in a major by dedicating its entire run time to Slippin’ Jimmy’s ways of sticking it to the man and coming out on top. The cold open goes even further than last week’s by showing him and another man play out a scam for money, something that echoes the actions he undertakes over the course of the next hour. Back in the present, we pick up immediately after the end of “Nacho” with Jimmy confronting the Kettlemans over the stolen money and once again offering his legal services. They once again refuse him, but offer a bribe instead to keep him quiet. Chuck previously taught Jimmy that the way up the lawyer ladder is to do good work and the clients will come, though Jimmy’s flippant reaction to this piece of advice gives some indication as to why he ends up taking the money. Jimmy wants to do good by his brother to atone for his past sins, but he also sees the reality of his current situation that he is a man scraping by on the skids with barely a penny to his name. The bribe money emboldens him much like it did for Walter White before him (or rather, after him), inspiring a rise in confidence as he pays off old fees and gets a makeover to celebrate. This boost in self-assurance also prompts a deliberate jab at Howard Hamlin and the others at Hamlin Hamlin & McGill by imitating their billboard advertisement. Jimmy no doubt knows that what he’s doing is wrong and will immediately prompt a response from Howard but he doesn’t care; he just wants a chance to rile them up in an elaborate prank. In Jimmy’s eyes, getting a reaction from them is enough to validate himself as a worthy opponent. Just as the first two episodes established Jimmy’s relationship with Chuck and the third gave he and Kim the time to interact, “Hero” brings forth Howard Hamlin as a possible villain for Jimmy to square off against. 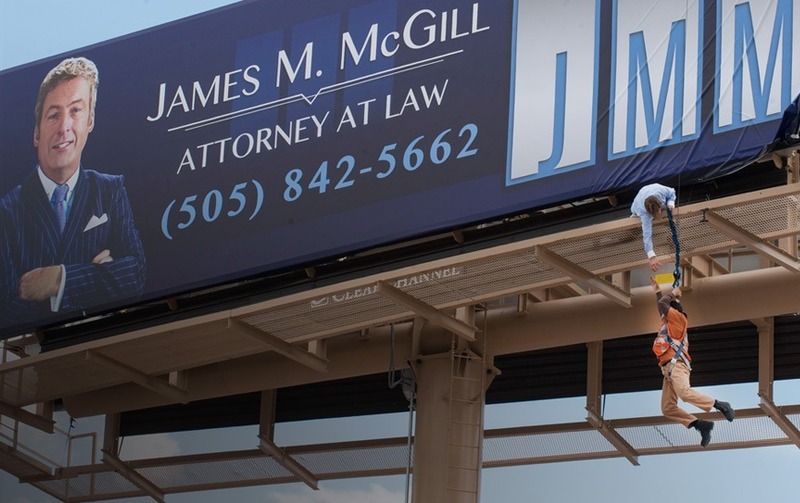 As played by underappreciated character actor Patrick Fabian (whose performance in The Last Exorcism is a standout) he’s not an out-and-out bad guy as Jimmy’s actions and scams are of course unethical, not the least of which is the rescue stunt pulled by “saving” the fallen billboard man. There’s plenty of resentment bubbling between them that gets pulled forth during the cease-and-desist scene, and Fabian plays the role with just enough pomp to keep the audience on Jimmy’s side without turning him into a cartoon bully. Propping these men up as adversaries creates another dynamic between the characters with Kim as the middle-woman torn between her allegiances. As another person torn in their feelings, Jimmy attempts to hide his ‘hero’ story in the newspaper from Chuck to no avail, and the pieces are in place to clash against each other. “Hero” is mostly a transitional episode getting the characters from place to place and setting them in motion for events to come in the future. 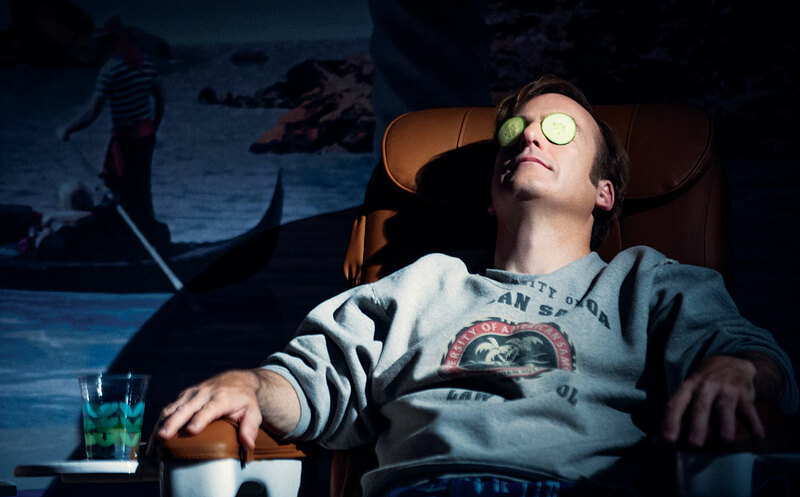 There’s not much to write home about and I doubt that this will be looked back on as a particularly memorable episode for Better Call Saul’s debut season, but it does an admirable and competent job of moving the pieces forward in entertaining fashion. Next ArticleTV Review: Agent Carter (1x08) - "Valediction"